Apple to Release Two New iPhones This September? A new Fortune report from Deutsche Bank analyst Chris Whitmore has released a new note that claims Apple is preparing to release not one, but two new iPhone models in September this year. The second model is anticipated to be a cheaper, unlocked model with a price-tag of $349. In a note issued early Monday, Deutsche Bank’s Chris Whitmore is telling clients to expect both — an iPhone 5 and an iPhone 4S. As Whitmore sees it, an iPhone 4S that is unlocked, priced around $349, and comes with a pre-paid voice plan would “drive significantly greater penetration” into an addressable market that has grown to include 1.5 billion potential customers in 98 countries, two thirds of whom prefer pre-paid plans. Unsubsidized, unlocked iPhone 4’s went on sale in the US only recently (for $649), so a price-point some $300 cheaper for a pared-down iPhone is a considerable move for Apple, who has always operated at the higher-end of the smartphone market. 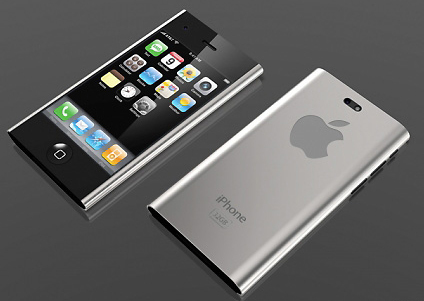 This recent Fortune report only serves to confirm rumors of an ‘iPhone nano‘, as well as the release date of the iPhone 5. 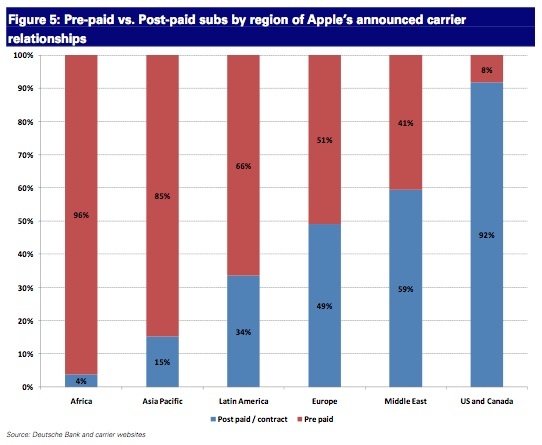 The below figure demonstrates the popularity of the pre-paid pricing model in international markets, as compared with the predominance of post-paid service in the USA.